The Avia Partners Savings Card is a great, simple way to protect you and/or your family from rising prescription costs. It's a prescription discount program that lets you save up to 50% on all prescription products, new or refills. You can get discounts on family pet prescriptions too! And best of all, it doesn't cost a thing to join. A healthy solution to your pharmacy benefit needs. The Avia Partners Savings Card is just one of the many programs and services Avia Partners provide to help you manage costs associated with your prescriptions. Our ultimate goal is to always provide you with lower prescription costs and excellent customer service. An extensive service network you can rely on. Avia Partners has one of the largest pharmacy discount networks in the country. We've partnered with over 50,000 participating pharmacies to provide convenient access to high quality yet affordable pharmaceutical care to our members across the United States. Mail order service for greater convenience. Avia Partners also offers a Mail Order prescription program. This service is designed to enhance your convenience while preserving the pharmacist patient relationship. 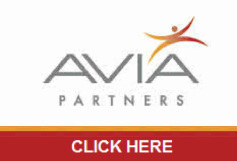 Pharmacy Locator: Click here to find a pharmacy that offers Avia Partners discounted prices. Rx Price Calculator: Click here to price out your prescriptions with Avia Partners. The Avia Partners Savings Card is a prescription drug discount card. NOTE: This card is NOT INSURANCE.